Companies sometimes fail to help themselves. A rambling nine-page press release from Tata Sons, the holding company for India’s top conglomerate, attempts to justify the recent sacking of its chairman Cyrus Mistry. A clear, objective explanation was needed. But Ratan Tata, the former chairman and patriarch now back as interim boss, has instead set a personal and defensive tone for fights to come at the $100 billion cars-to-IT giant. Tata Sons has taken more than two weeks to issue a detailed response to a letter from Mistry in which he raised concerns about the governance and finances of the group he led for almost four years. The trouble is, the missive raise more questions than it provides assurances. A particularly unsettling feature is an accusation that Mistry was “systematically reducing the effective control and influence” of Tata Sons at its operating companies, some of which are listed and only minority-owned by Tata Sons. To outsiders, that looked like a welcome professionalization of the group’s structure and governance. Click on the graphic to view more. Other elements seem self-indulgent. “There is no complaint about these good legacies!” the statement cries, referring to comments Mistry made about the difficulties he encountered trying to turn around businesses inherited from Ratan Tata in sectors like steel. If the star-studded Tata Sons board approved the official rant, that is also a worry. Directors include Nitin Nohria, dean of Harvard Business School, and Amit Chandra, head of Indian operations for U.S. private equity group Bain Capital. The public catfight foreshadows a messy struggle for control of several group businesses where Mistry remains chairman. There are a dozen or so sizeable listed companies where Tata Sons’ shareholding falls short of the majority needed to remove him without support from other shareholders, including Jaguar Land Rover owner Tata Motors. Independent directors of Indian Hotels and Tata Chemicals have already voiced support for Mistry. And even if Ratan Tata can remove him from his group leadership positions, his family will remain an 18 percent shareholder of Tata Sons. 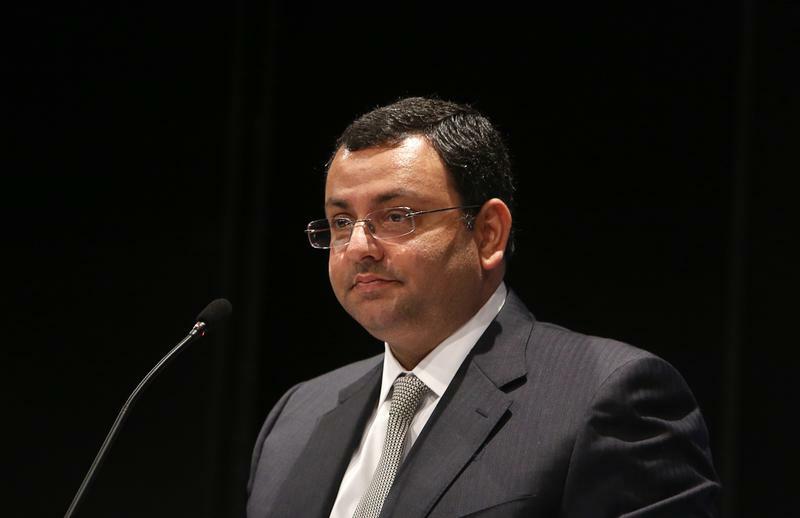 In its screed, Tata Sons says Mistry destroyed shareholder value. If so, now top leaders of the Tata group will be distracted by a bad-tempered public tussle which risks doing even more damage. India's Tata Sons on Nov. 10 issued a nine-page press release addressing both the abrupt dismissal on Oct. 24 of Cyrus Mistry as chairman of the privately held cars-to-IT conglomerate holding company and Mistry's subsequent letter raising questions about the governance and finances of the group. In the statement, Tata Sons accuses Mistry of "systematically reducing the effective control and influence" of Tata Sons in Tata group companies – some of which are publicly listed – during his four-year tenure. It also blames Mistry for eroding shareholder value. "It was fair expectation of Tata Sons that Mr. Mistry would gracefully resign from the boards of other Tata companies," Tata Sons said, adding that his refusal to step down as chairman of other group businesses went against Tata's values and ethos. On Nov. 9, Tata Sons replaced Mistry as chairman of Tata Consultancy Services, a listed company in which the holding company owns a controlling stake, its largest investment by far. This week the independent directors of two separately listed Tata group companies, Indian Hotels and Tata Chemicals, have voiced their support of Mistry, who remains chairman of both companies. The boards of other flagship companies are due to meet in the coming days, including Tata Motors and Tata Steel. The Tata Sons shareholding in each is below 33 percent. The press release is the latest twist in the public war of words between Mistry and group patriarch Ratan Tata, who has returned as interim chairman of Tata Sons. 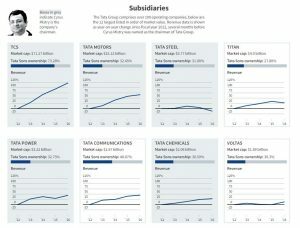 Ratan Tata leads the trusts that control around two-thirds of Tata Sons' shares. A further 18.4 percent is held by entities related to Pallonji Mistry, Cyrus's father. "There is no complaint about these good legacies!" the statement asserts, referring to Mistry's claims of difficulties the group faces trying to turn around businesses in sectors, like steel, inherited from his predecessor Ratan Tata.